Shockingly, my Cocoa source code is used in stuff. First off, I’d like to apologise for that title. “Fame.m”? I don’t know what the hell I was thinking. It’s been a long day. Anyway, whilst I don’t keep a list of all the apps my source code has been used in (like some glory hounds do), I just wanted to mention that Dan and Terrence over at Karelia have just released Sandvox to an eagerly-awaiting public, which includes some of my code. 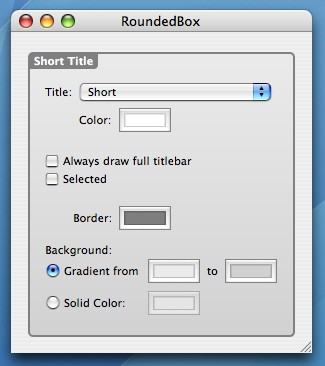 Take a peek at this screenshot and you’ll probably recognise both PopUpImage and of course RoundedBox. Way cool. 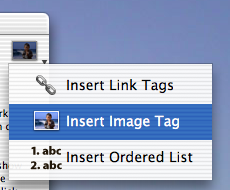 Oh, and try out that draggable target icon in the Link Destination box… very nice. Takes me back to my old GoLive CyberStudio / Adobe GoLive “point and shoot” days. Swing by and download the Sandbox demo, and give it a whirl. I will also mention that some of code is used in a mysterious new application, coming soon to a Mac near you. I’m sitting here hacking away on the significantly-more-venerable NeXT Dock, which may even see the light of day before the Summer is out. Stranger things have happened. Until next time, keep it (as always) sheercore.